Every day in Massachusetts, millions of people rely on Massachusetts school buses, mass transit, city bus lines, private charter buses, and tour buses as a means of transportation. Unfortunately, according to statistics published by the National Highway Traffic Safety Administration, 1,392 people died and over 75,000 people were injured in Massachusetts in Massachusetts bus accidents between the years of 2004 and 2008. The Massachusetts bus accident lawyers at the Law Offices of Gilbert R. Hoy, Jr. and Affiliates have significant experience handling Massachusetts personal injury claims and Massachusetts wrongful death claims resulting from Massachusetts bus accidents. 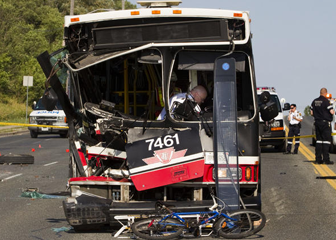 Our Boston, MA bus accident injury lawyers are highly skilled. Our Boston bus accident injury lawyers use their expertise to diligently pursue our Massachusetts clients’ cases. We get them the compensation that they deserve. Our Boston, MA Bus Accident Lawyer Experts Can Help You With Your Massachusetts Bus Accident Claim. Please Call Our Massachusetts Bus Accident Personal Injury Attorney Specialists at Our Boston, MA Personal Injury Law Office Today at 617-787-3700 or Email Us at info@gilhoylaw.com. 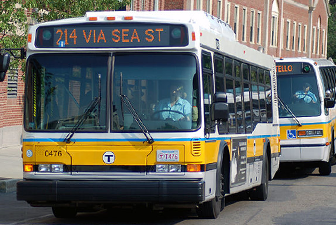 Massachusetts bus accidents often result in serious injuries or wrongful death. A Massachusetts bus rollover or collision can cause passengers on the bus or passengers in another motor vehicle involved in the Massachusetts accident to sustain head trauma, lacerations, internal injuries or broken bones. In addition to physical injuries, Massachusetts bus accidents often result in extreme emotional trauma to the Massachusetts bus accident victim, which can be debilitating. 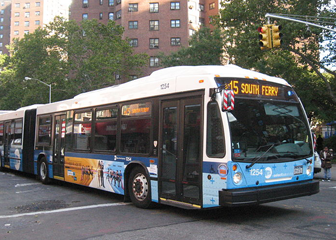 These physical and emotional damages resulting from a Massachusetts bus accident may cause permanent disability or prevent the injured party from working. Contact Our Team of Expert Boston, MA Bus Accident Lawyers Today. If you or someone you love has been injured in a Massachusetts bus accident, it is critically important that you seek medical attention immediately for your Massachusetts bus accident injuries. 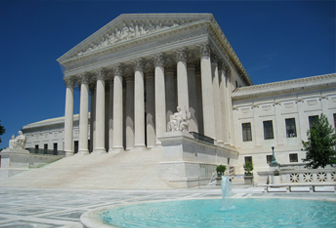 The next thing that you can do to best protect yourself is to call our Boston bus accident lawyers at 617-787-3700. You may be eligible to receive compensation for your lost wages, your medical expenses, your lost future earnings and your pain and suffering that have been caused by the Massachusetts bus accident. Our Boston, MA bus accident injury lawyers at our Boston accident injury law office represent individuals throughout Massachusetts. Our Massachusetts bus accident attorneys are available 24 hours a day, 7 days a week, and we can meet with you at your home, the hospital or another location of your choosing. Let our expert Massachusetts bus accident lawyers at our Boston, MA personal injury law firm put our experience and skill to work for you! Do not wait. Call us today at 617-787-3700. 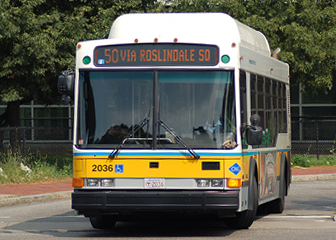 Buses are a very common form of travel in Massachusetts, in large part because of their affordability. Unfortunately, Massachusetts bus accidents occur every day and have the potential to cause grave injury. 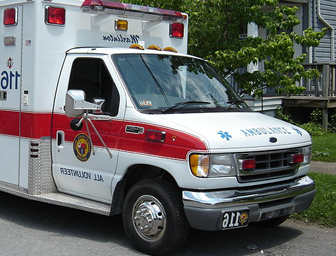 In the worst circumstances, Massachusetts bus accidents can result in wrongful death. 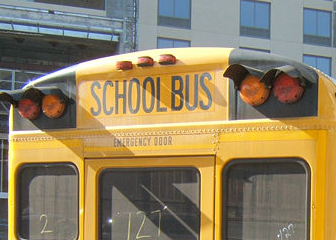 The fact that a large number of Massachusetts buses often are not equipped with appropriate safety devices leads to a greater number of Massachusetts bus accident injuries. Massachusetts law requires that all Massachusetts buses that are purchased or leased after July, 2004 have seatbelts. However, Massachusetts buses that were purchased or leased before that date are not subject to the seatbelt requirement, in large part due to the significant costs that would be incurred if seatbelt installation was required. Unfortunately, Massachusetts bus passengers that are on an older bus are thus at a greater risk for injury in the event that a Massachusetts bus accident takes place. The expert and highly skilled Massachusetts bus accident attorneys at our Boston, MA law firm have over 25 years of experience in handling Massachusetts bus accident claims and obtaining large settlement awards for our Massachusetts bus accident clients. Obtaining substantial Massachusetts bus accident damage awards can be complex, in part because there are a number of parties that can be found liable in the event of a Massachusetts bus accident. Potential liable parties can include Massachusetts bus companies, Massachusetts bus drivers, other Massachusetts motor vehicle drivers, manufacturers of the bus or bus parts, maintenance companies and Massachusetts school boards and school districts. Our Boston personal injury lawyers have gained a national reputation in representing our Massachusetts bus accident clients and provide our Massachusetts bus accident clients with outstanding and thorough legal service. A Massachusetts bus driver’s permissible driving hours and training are regulated by the Federal Carrier Safety Administration. Similar to other public Massachusetts transportation services, Massachusetts bus drivers are legally obligated to operate the bus with “the highest degree of care.” In order to ensure that our Massachusetts bus accident clients’ injuries are accurately assessed, we consult with a wide range of medical experts and other professionals. An adequate assessment of our Massachusetts bus accident clients’ injuries is critical in ensuring that our clients receive the full and fair compensation that they deserve. The Boston Globe has recognized many of our attorneys as Boston’s Best Lawyers, and Boston Magazine has recognized a number of our lawyers as Massachusetts Super Lawyers and New England Super Lawyers. 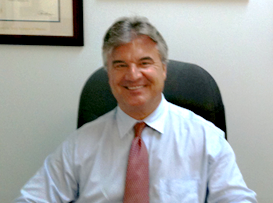 Our Massachusetts personal injury attorneys have also been named in The Best Lawyers in America. If you or a loved one has been the victim of a Massachusetts bus accident, you may be entitled to substantial compensation for your physical and emotional injuries. 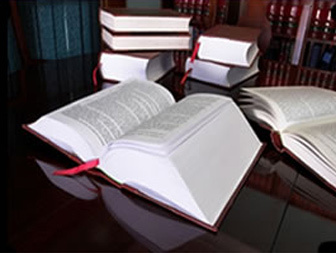 Our expert and highly skilled Massachusetts bus accident attorneys have significant experience in obtaining various forms of compensation, including lost wages, medical expense reimbursement, punitive damages, money damages for lost future earnings, damages for loss of enjoyment of life and monetary compensation for pain and suffering. If you or a loved one has been injured or killed in a Massachusetts bus accident, please call our experienced Boston bus accident injury lawyers or expert Boston wrongful death lawyers at the Law Offices of Gilbert R. Hoy, Jr. and Affiliates today at 617-787-3700 or email us at info@gilhoylaw.com. Call today! Our Massachusetts bus accident personal injury lawyers are proud to represent Massachusetts bus accident personal injury clients from throughout the Commonwealth. The Boston, MA Law Offices of Gilbert R. Hoy, Jr. and Affiliates is a team of Boston, MA lawyers from some of the best law offices in Massachusetts, including expert Massachusetts bus accident personal injury lawyers and expert Boston, Mass bus accident wrongful death lawyers, who have been personally selected by Attorney Hoy because of their skill, experience and expertise. Many of the Boston, MA bus accident lawyers and Boston, MA bus accident wrongful death attorneys who are available to our Massachusetts clients through referral agreements have been repeatedly selected and recognized as among the very best personal injury lawyers in Massachusetts and, indeed, the country. In the event that you or a loved one has suffered personal injury damages or wrongful death damages as the result of a Massachusetts bus accident, the best thing that you can do is to hire one of our highly skilled Boston, MA bus accident lawyer experts. If you select one of the knowledgeable and highly experienced Massachusetts bus accident personal injury attorney specialists at the Boston Law Offices of Gilbert R. Hoy, Jr. and Affiliates to represent you or your loved one, you can be assured that your needs will become our top priority. The Massachusetts bus accident lawyers at our Boston, MA law firm will use all of their legal expertise and exceptional talent to most effectively handle your unique situation and unique case. Our Boston bus accident law firm is distinguishable from other Massachusetts law firms because our attorneys are unusually compassionate and caring and we are second to none in fighting tirelessly on your behalf. Our Boston, MA bus accident law office has some of the highest quality Massachusetts lawyers around and we will simply not settle for second best. The Boston, MA bus accident lawyer experts and Boston, MA wrongful death lawyer professionals at our Boston, Massachusetts law office have represented many Massachusetts bus accident victims and the families of wrongful death victims. If you or a loved one has suffered personal injuries as the result of a Massachusetts bus accident, please contact our experienced Boston, MA bus accident lawyer specialists and Massachusetts wrongful death lawyers as soon as possible to help you get full and fair compensation for your Massachusetts personal injury damages or wrongful death damages. With an experienced group of some of the very best Massachusetts bus accident lawyers that the Commonwealth offers, our Boston bus accident law office is confident that our handling of your bus accident claim will go beyond your expectations. Our over-riding goal is to provide you or your loved one with top of the line legal service and assistance with respect to your Massachusetts bus accident, while earning your confidence, loyalty, trust and respect. Our Boston, MA bus accident law office would be honored and pleased to represent you or your loved one, and we would be delighted to provide you with an initial free and confidential consultation with respect to your Massachusetts bus accident claim. 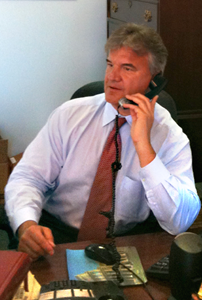 Our Boston, MA Bus Accident Lawyer Experts Are Available 24/7. Please Do Not Hesitate. Call Our Massachusetts Bus Accident Personal Injury Attorney Specialists Today at 617-787-3700.